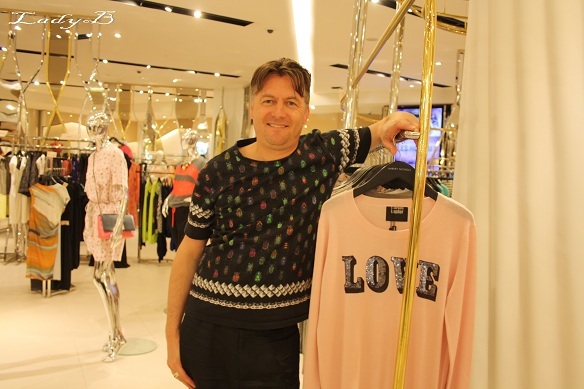 The folks at Harvey Nichols been stepping up their game lately, as today they brought the talented designer Markus Lupfer to meet and greet clients.. 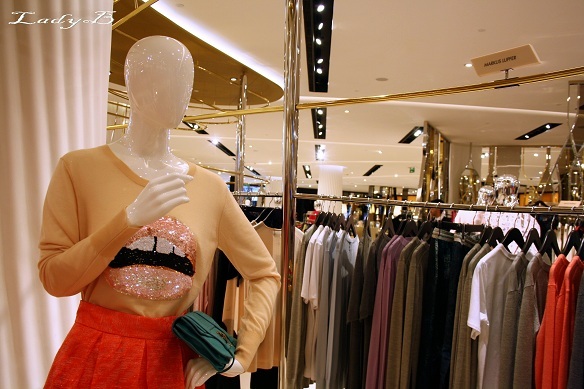 The person behind the witty and playful embroidered sweaters, who was really excited to be visiting Kuwait for the first time..
هارفي نيكولس استضاف المصمم ماركس لوبفر ، مشاالله هارفي بالفترة الاخيرة وايد يركز انه يستضيف مصممين من حول العالم ويعطي الزباين فرصة يلتقون فيهم ويتعرفون عليهم..
To be honest I was pretty skeptic about his brand few years ago but when I tried out embroidery myself for Addicted line I came to appreciate the brand a lot more..
Markus designs are available in Kuwait exclusively for Harvey Nichols, and lately he went further with designing printing tops, shorts and pants. 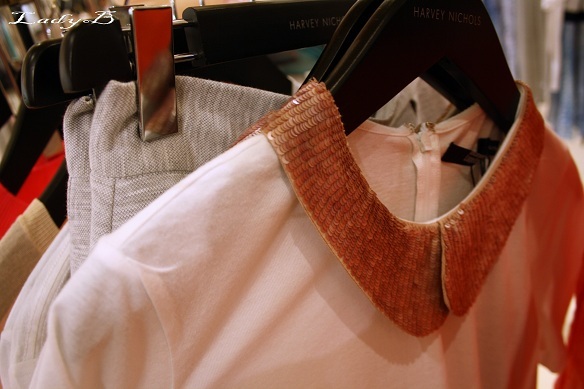 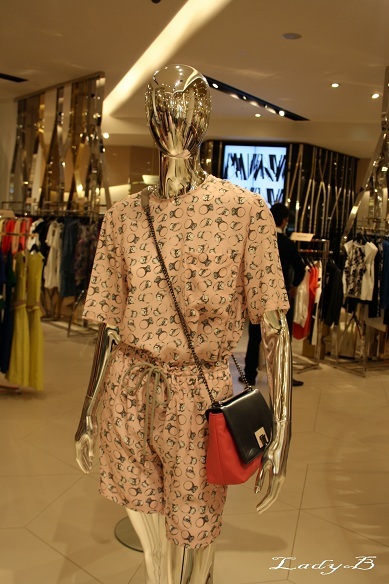 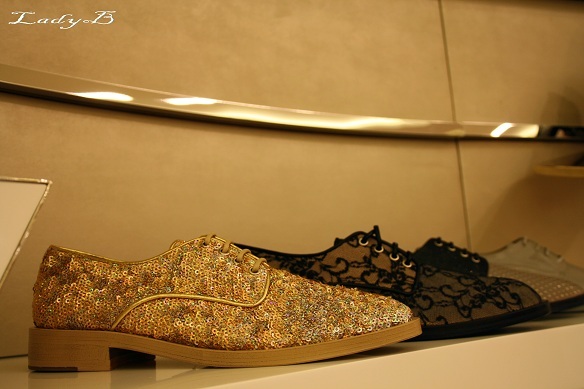 Garments easy to incorporate into daily wear which can go dressy or just for everyday wear.. 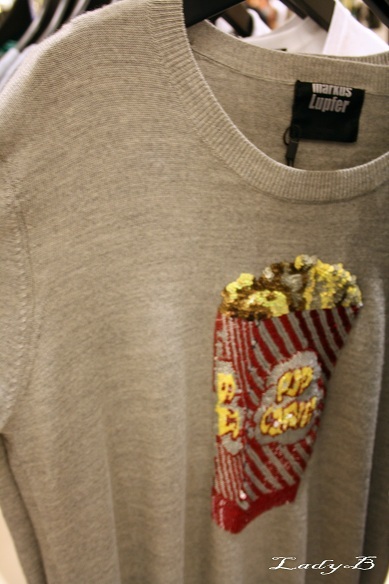 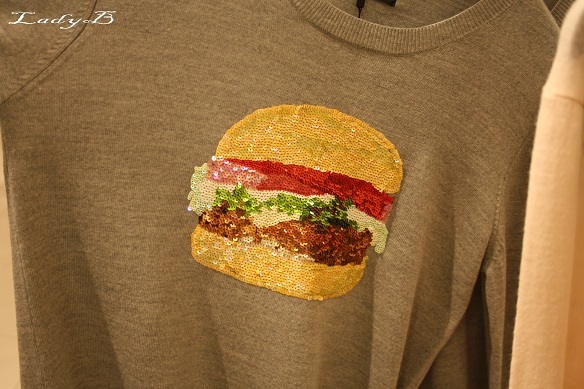 The burger sweater above happens to be one of the designers favourite pieces as he mentioned today.. 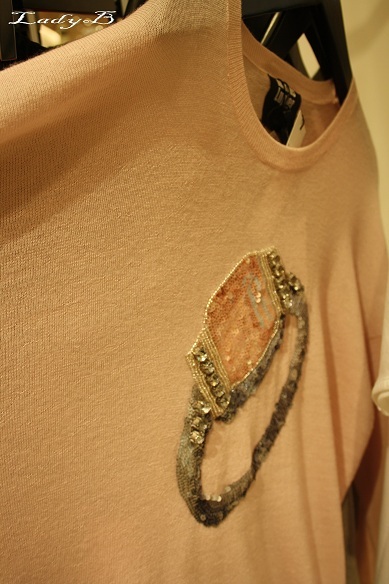 The sweater with the ring is my favourite as I've have it on my Fall/Winter list.. 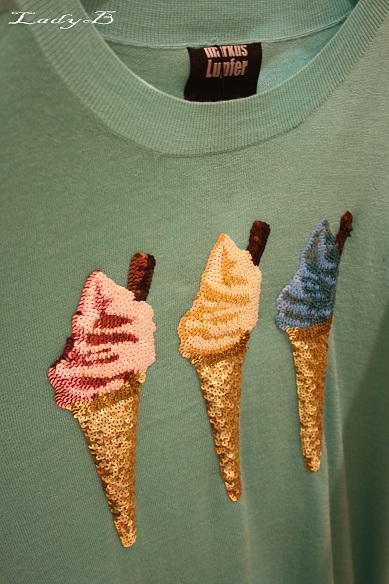 It's probably too hot for a sweater but there's t-shirts with sequined collars, printed pants and lightweight shirts as well..